GN Solids Control is a liquid and solid separation solution provider. 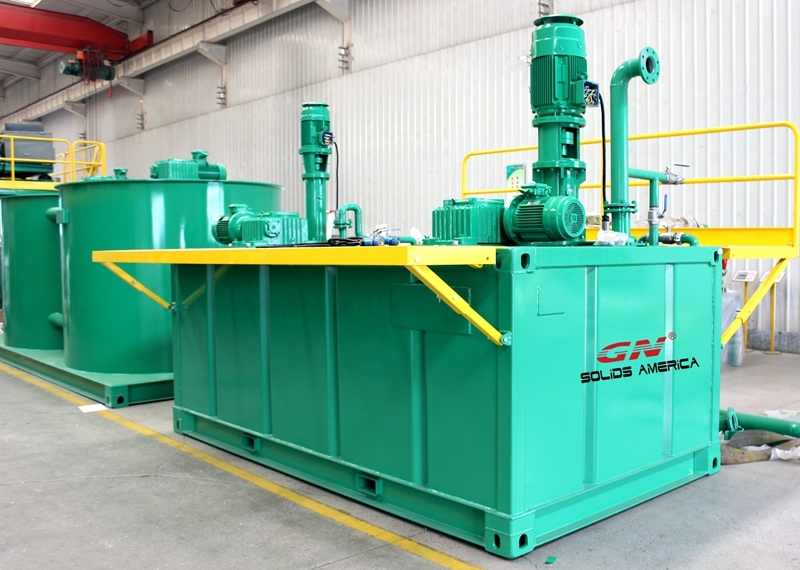 GN Solids Control is especially good at providing turnkey solutions to suit different customers’ treating demands. These years, there are more and more inquires come to GN and ask for hydrovac slurry treating solution. 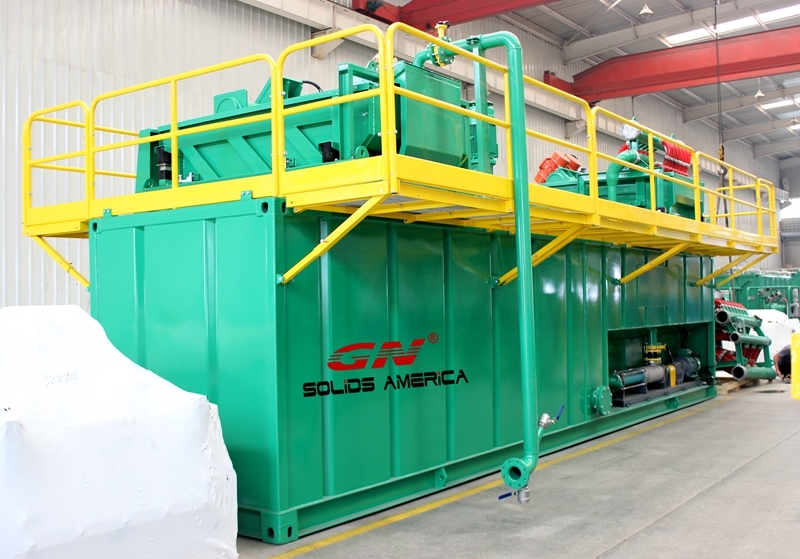 GN Solids Control has provided multiple units in North America includes USA and Canada, by using GN hydrovac slurry treating systems, customers can treat 10~40 hydrovac truckloads evereryday. GN Hi-Cap shaker is the first treating unit that treat all the loaded slurry from GN feeding hopper. Actually, in order to treat 2 truckloads at the same time, GN Solids Control provided a customized feeding hopper to collect hydrovac slurry first. GN Hi-cap shaker is used to eliminated those larger solids/ stones/ wastes in the hydrovac slurry. Here GN Solids Control provides a double deck shaker to treat the slurry discharged from GN hi-cap shaker. GN desiter is shaker fixed with 4inch hydrocyclones, which can be used to eliminate solids larger than 25 microns. 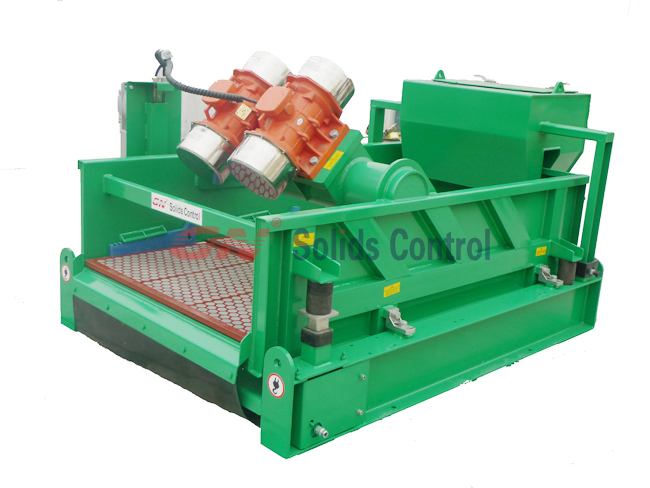 Both GN shaker and GN disilter can be assembled with GN ViST unit to recover more drilling fluids and get much dryer solids. 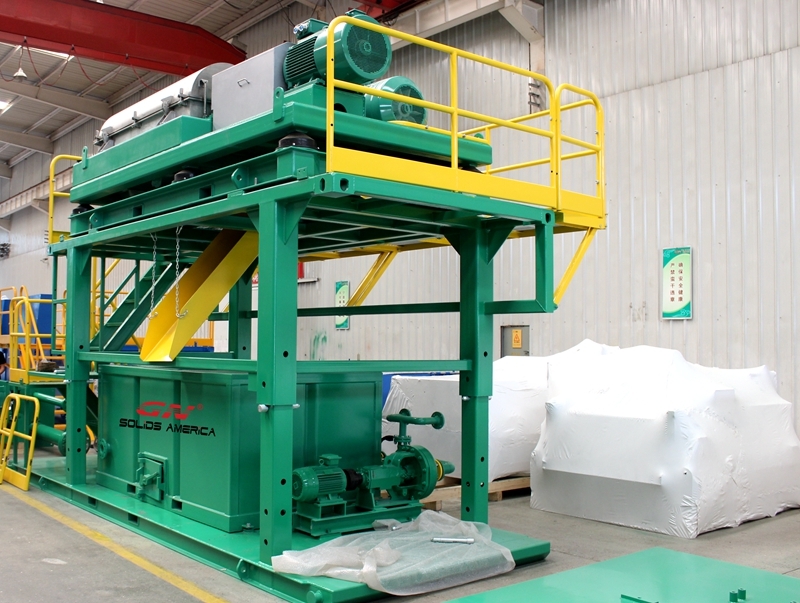 GN decanter centrifuge is the key treating equipment to eliminate most of those solids out. A chemical dosing unit will also be used to help removal finer solids. In order to treat hydrovac slurry well, GN Solids engineers modify the centrifuges to work with larger treating flow and better separating performance. All those treating equipment mentioned above are fixed on GN mud tank. Recover solids can be used for construction materials, and recovered water can be used for hydrovac trucks or can be further treated to drink water.